Our Exclusive Catamaran-Based Odyssey is the Most Unique & Exciting Way to See the Islands! It’s no wonder Herman Melville called the Galapagos “The Enchanted Isles.” This far-flung archipelago is unique on earth. Giant tortoises roam misty meadows. Sea lions loll, nonchalant, on pristine beaches. Iguanas bask on sun-baked lava while sea turtles, rays and penguins swim with snorkelers in turquoise waters. Paddling this primeval paradise is a privilege few visitors get to enjoy. We have access to rare and remote places that guests aboard larger ships never see. Our deluxe catamaran whisks us between anchorages and provides comfortable accommodations when we’re not kayaking or hiking ashore. Each day we explore a different island, either on foot or along the shoreline by kayak, or sometimes both. The islands are surprisingly diverse, with new discoveries at each location we visit. An exclusive, expertly guided active adventure in the world’s most unique wildlife destination—plus a full day exploring the Andean cloud forest beforehand! Sea Kayak the Florida Everglades among the 10,000 Islands of Everglades National Park. 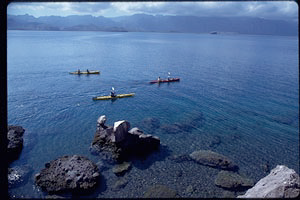 2 - 4 Day Ecological Sea Kayak Expeditions. 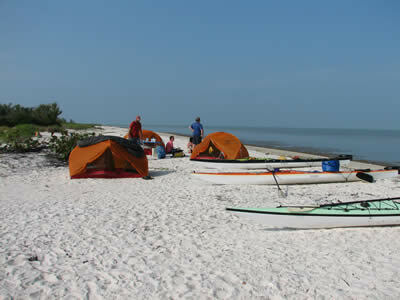 Back Country Camping at its Best on beach islands/mangroves! contact us for upcoming trips and pricing! 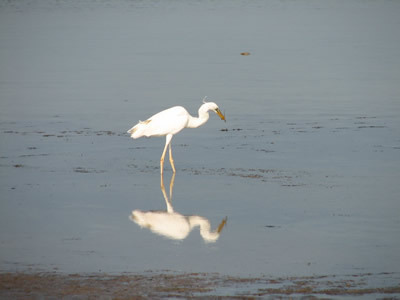 Enjoy the diversity of wildlife from your kayak with our Registered Maine Sea Kayak Guides/Naturalists! 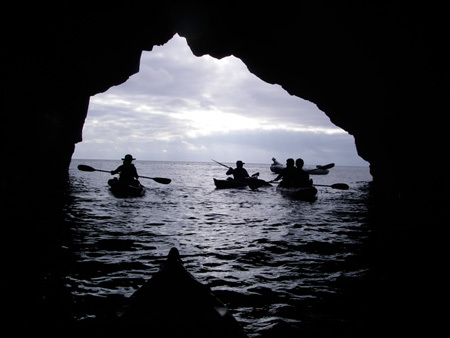 This is the perfect trip for the novice to advanced sea kayakers who wants a more challenging experience. Self-supported/or supported trip. 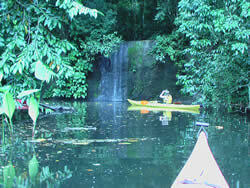 Enjoy exploring this beautiful island by means of paddling only. 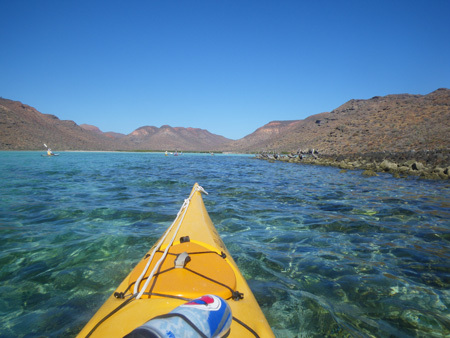 Kayaking and camping along the shores of Espiritu Santo Island allows us the opportunity to explore beautiful white sand beaches, canyons adorned with hanging fig trees, shower from a fresh water well, boulder up arroyos and snorkel among friendly sea lions and tropical fish. We will paddle from camp to camp along the west side of Espiritu Santo Island and the number of camps we use will depend upon the weather. 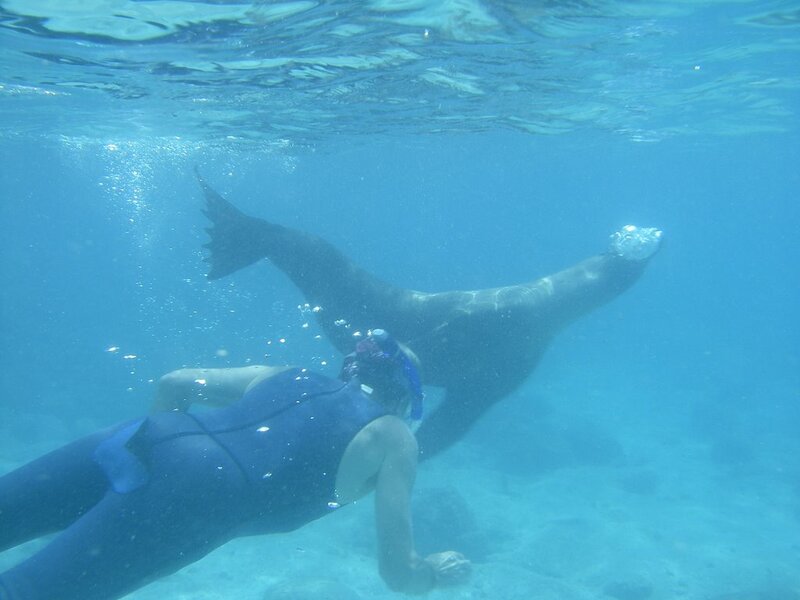 Although no motorized skiffs will accompany this trip we will arrange for one to take us snorkeling with the friendly sea lions of Los Islotes, otherwise difficult to access by kayak. Expect to see mantas leaping from the water's surface, pods of dolphins and on spring trips, possibly humpback, blue or fin whales. After the group paddling excursions we will have opportunities to snorkel, hike, fish or perhaps paddle some more on our own and explore the many hidden coves and beaches of this island paradise. Meals will be prepared by your guides but feel free to lend a hand and learn some Mexican cooking secrets. Our Journey Begins at the Bridge of the Americas and continues on to the mountains of beautiful Boquete where we'll paddle the waters of the Chiriqui River.